A project dedicated to finding out if we alone in the universe? A new group of scientists is embarking on what could be the biggest scientific discovery of all time — to capture an image of another habitable planet. NASA’s Kepler telescope opened the door to the new field of exoplanet research. Kepler found thousands of new exoplanets, and the number of those involved in the exoplanet community has skyrocketed. It is now one of the hottest research topics today when just 30 years ago the thought of exoplanets was only speculative. 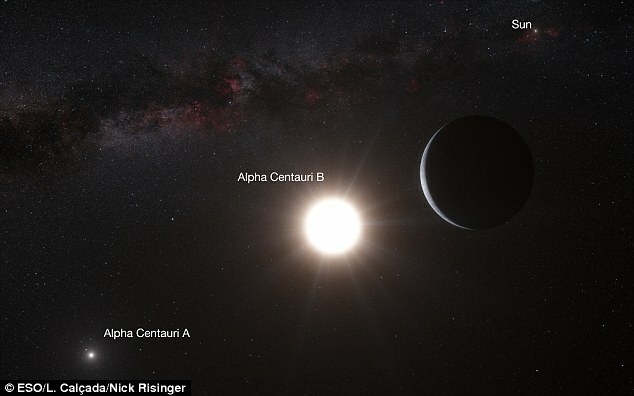 This group of scientists is determined to take a photograph of an Earth-like planet around our closest Sun-like stellar neighbors, Alpha Centauri A and Alpha Centauri B. (There’s a dimmer red dwarf companion, Proxima Centauri, that is slightly closer.) In the style of the Pale Blue Dot photo taken in 1990, the scientists hope to capture an image they say will be so powerful it unites the human race. To do this they are building a space telescope made specifically for this purpose called Mission Centaur. They plan to launch into low-Earth orbit in 2019, representing the ambitious leap of low-cost, but high-impact space exploration. Their objective is simple, but could shed light on the age old question: Is there other life out there?